What a busy time of the year! It is exhausting. It is a good thing I have painting to relax me. It is a hard time of the year for many and for so many different reasons – so hold them in your heart. 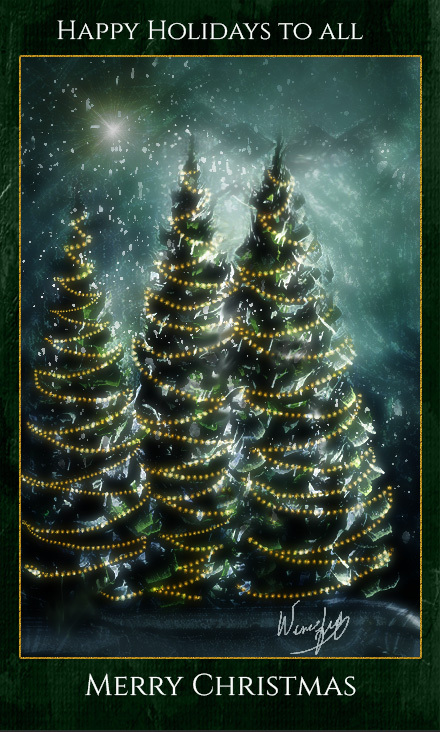 I wish everyone the best holiday season possible. It is time to be grateful, to give and to reflect. During the past week, painting is the first thing I do in the morning and the last thing at night. 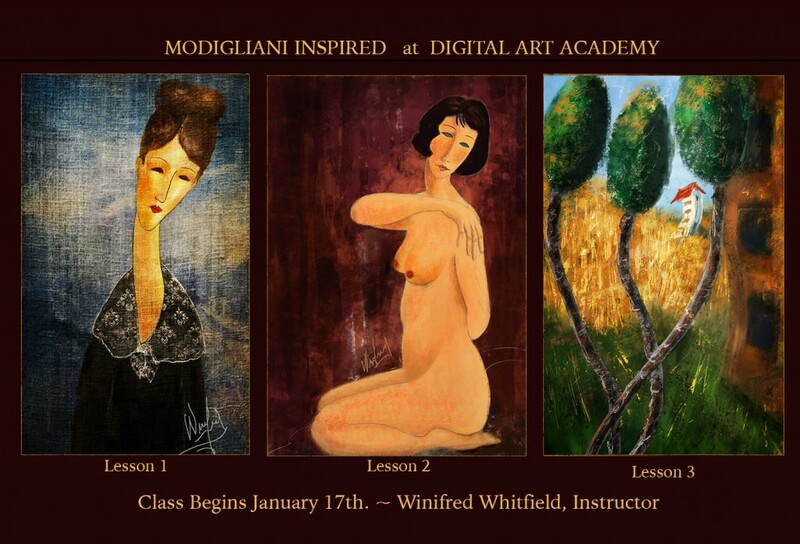 I am preparing for my upcoming class at Digital Art Academy (DAA) “MODIGLIANI INSPIRED” and I always like to create several examples of the artist I am presenting. Before I introduce you to the painting style of an artist, I like to have a grasp on it myself – I love what my new classes bring to me as well – absolute joy and discovery. DAA is closed at the moment for the holidays and transferring to a new server but keep this class in mind and I hope you will join me then, I will post additional info. Registration should open just after the first of the year. Class begins January 17th. 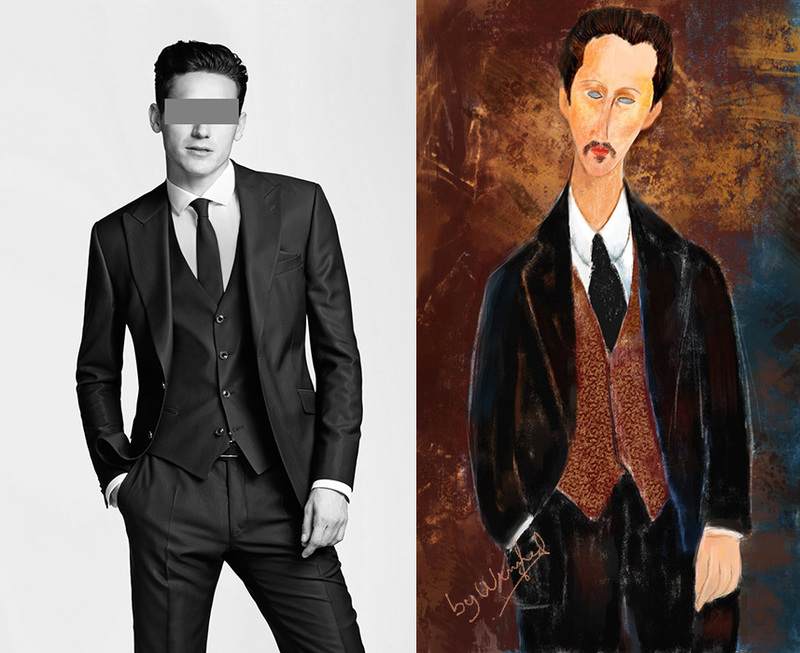 In the above image I painted 3 inspired Modigliani images. 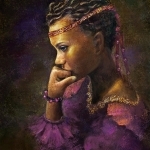 This image represents lessons I have planned for you. 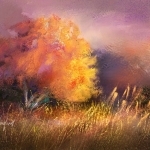 However, during the second and third lesson, you will have the flexibility to paint what you like. 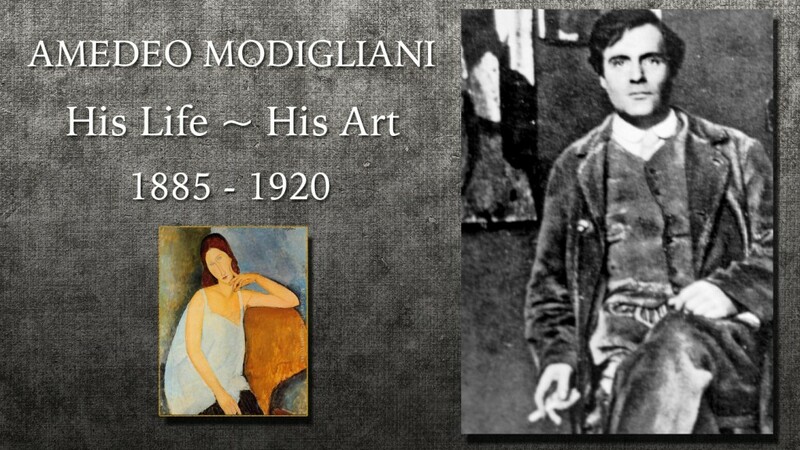 You may paint a portrait in all three lessons if you so choose, a cityscape, a street scene, trees or a pet – but in an Modigliani inspired style..
During the first tutorial, I will discuss Modigliani’s life and his art. Throughout his life he was ill and without sufficient money. 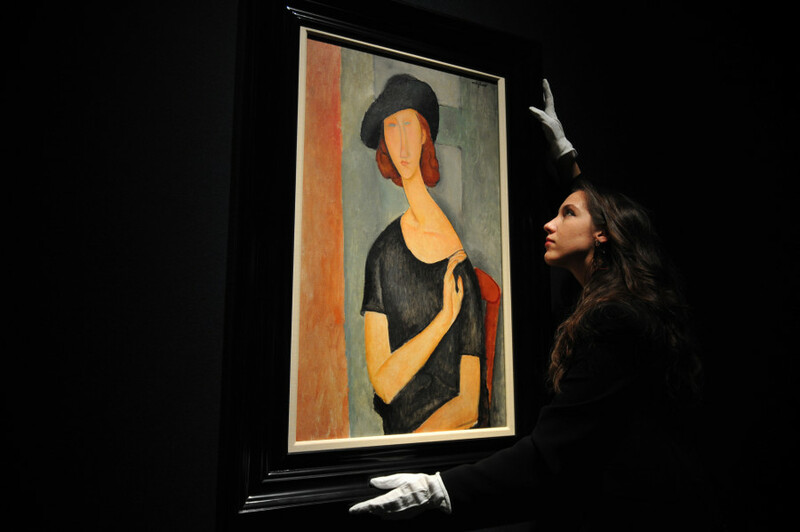 His paintings and sculptures now sell up to $50 Million to $70 Million with a recent painting being the top seller at a London Christy’s auction, topping the sales of a Picasso. 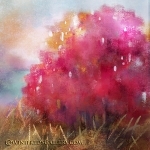 I have been creating freehand sketches for you to use if you like, and gathering photos you might want to sketch from. 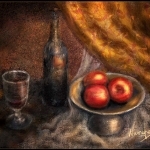 Below, I used this photo to create a quick hand sketch to paint. As before, I have created more than enough tutorials and demos. I am enjoying creating Modligiani inspired practice paintings of the long, twisted bodies and the hollow eyes. As I have continued with my paintings, I have incorporated some of his style elements into my style and that’s what it’s about anyway. 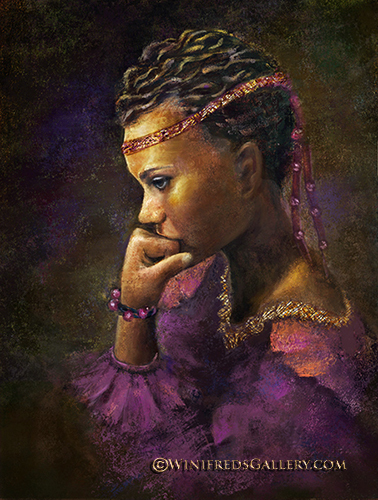 We want to take inspiration from this artist to bring to our work. 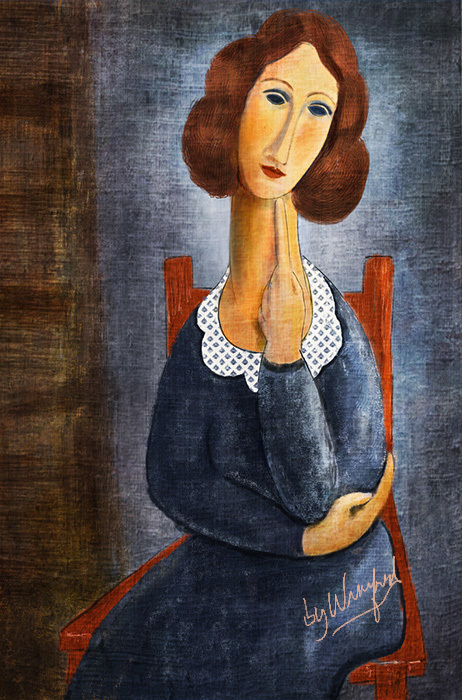 We will never paint like Modigliani, nor should we want. 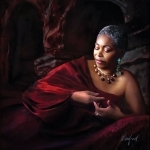 Above is another inspired painting you will watch me sketch freehand and then paint. 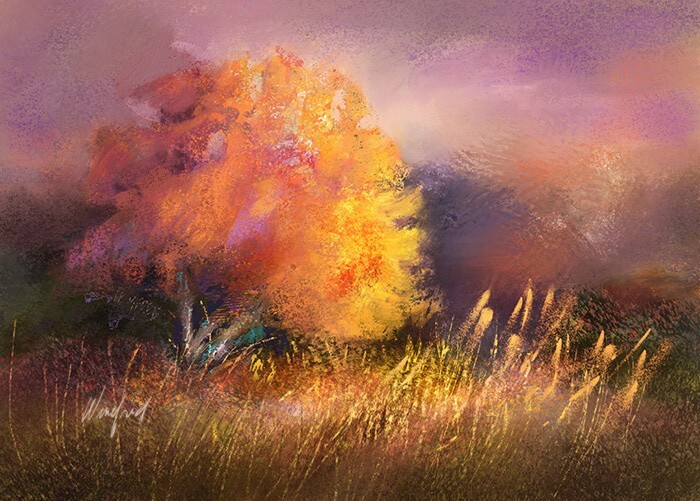 It is actually painted as a demo of the brush set included. I simply got carried away! 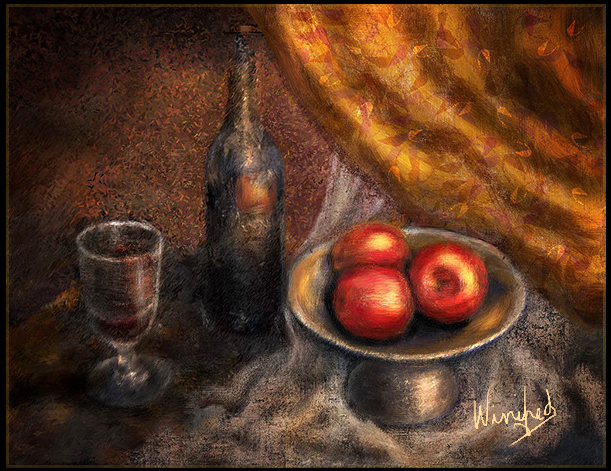 This entry was posted in Painter 2015, Painter X3 and tagged Corel Painter X3 Training, Painter 2015 Training, winifred whitfield by Winifred Whitfield. Bookmark the permalink.